Watch tell more than Time. It shows your Character & Personality. Happy Watching! A Fascinating Hobby! more stories in www.mastercheong.blogspot.com. Sale in www.wonderbowls1188.blogspot.com. if there's a Rolex King, this Day Date must be Tudor King. 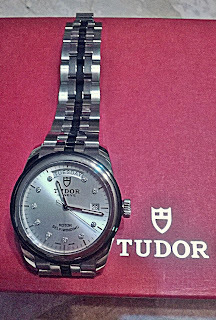 an article i read last month mentioned that Rolex wished to stop Tudor from making more Day Date as the younger brother disturbed the sale of the older brother. 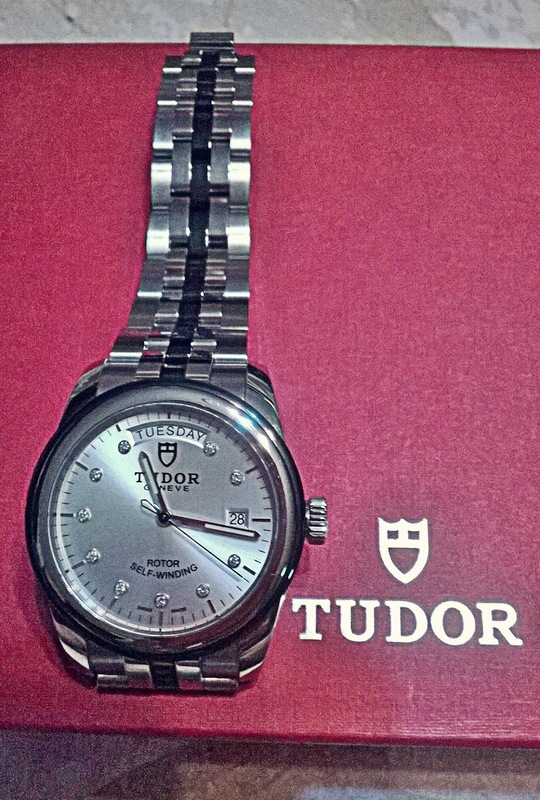 Rolex's Founder loved the Tudor era of his English roots. Also to create a less expensive version of Rolex thus many can afford. that's the birth of Tudor. many earlier Tudors used Rolex parts especially the Crown. not only the parts, designs, even the names too. 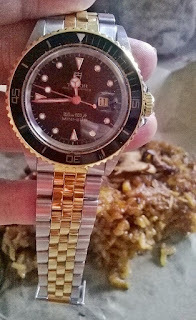 my 1st Tudor, a stainless steel & gold, mini submariner. this 39mm Day Date Diamond Markers was in fact Love at First Sight. i got it with Ah Q's philosophy, since i can't afford the elder brother, grab the younger one.